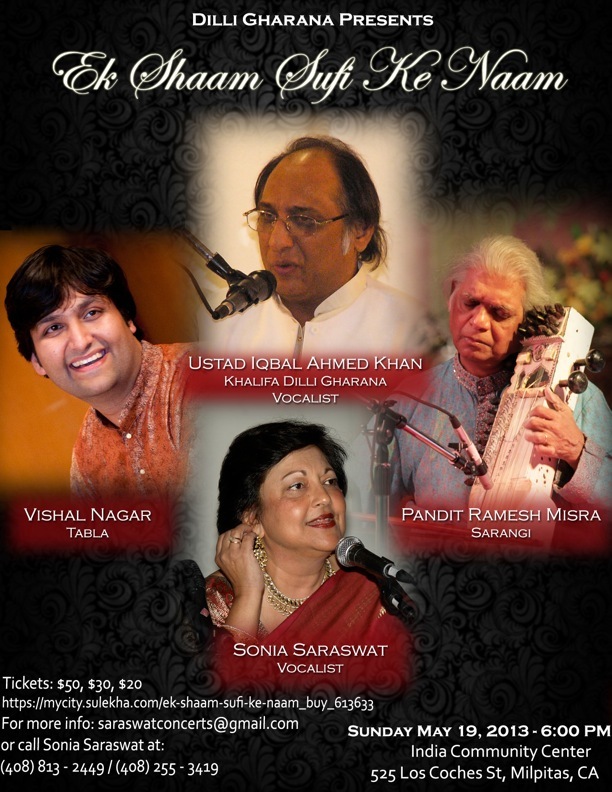 Renowned musician Ustad Iqbal Ahmed Khan will be performing next Sunday (5/19) at the ICC in Milpitas. Also performing is Pandit Ramesh Misra (sarangi), Vishal Nagar (tabla), and Sonia Saraswat, a family friend and fabulous vocalist in her own right. Should be a wonderful show! Tickets available here.